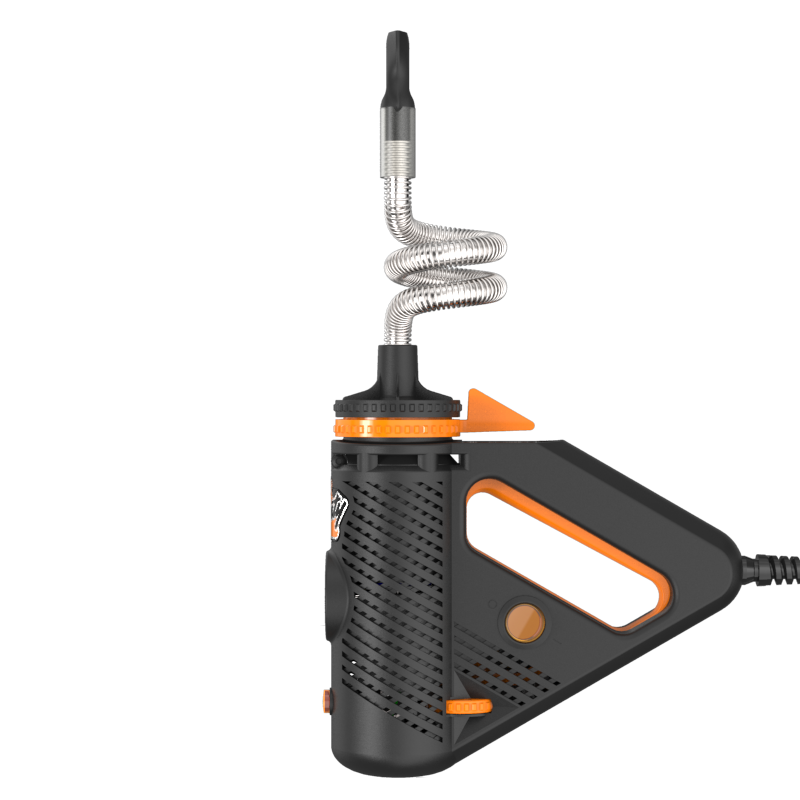 Powerful heating, efficient cooling and an extra wide Filling Chamber combined in one single handheld device: the Plenty. The result is plenty of vapor with first class flavor. With a capacity of 3.4 cm³, the Filling Chamber provides an optimal surface for strong vapor draws and an extraordinary vaporizing experience, while the stainless steel helix Cooling Coil ensures an extra smooth airflow with almost no draw resistance. The Plenty, with its characteristic design, promises a long lasting vaporization experience at an attractive price. A prominent thermometer shows the current vaporizing temperature, while the bimetallic regulator inside ensures safe operation with independent temperature control and automatic shutoff.